The Kelly Kettle stainless steel camp stove and kettle let you easily cook and boil water during an awesome camping trip. Like the design? Let’s keep checking. This is a practical set of camp stove and kettle that is available in three sizes: small, medium and large, so you can choose based on your family size. As we can see from the images, the kettle shows off a sleek, retro appearance design, and the camping stove features a cylindrical form factor that stably keeps itself on the ground for cooking or boiling water. 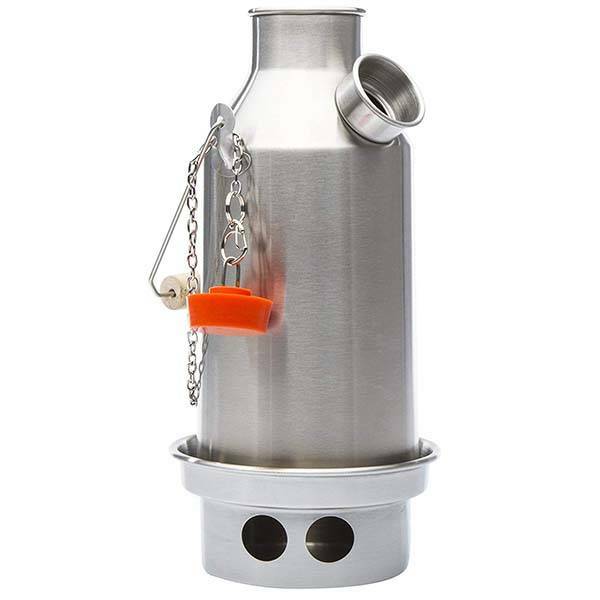 Meanwhile, the camping kettle and base stove are made from stainless steel for a solid and long-lasting construction. The camping stove uses natural fuel such as twigs, leaves, pinecones, grass and more, so you will never have to carry fuel in or out again. 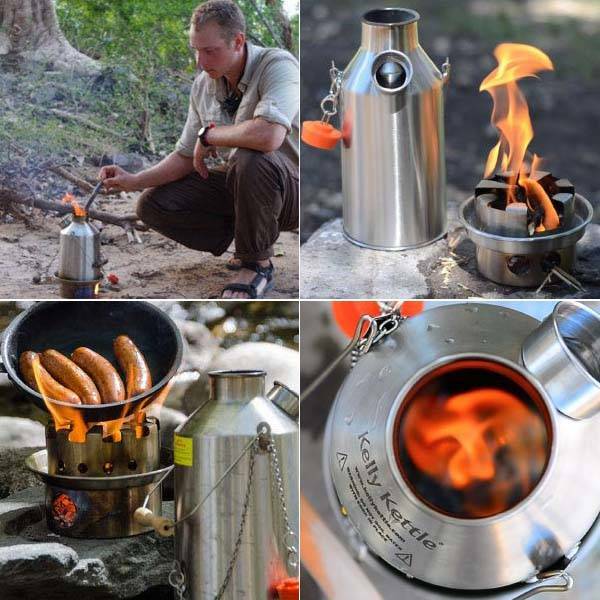 The camping kettle can hold 54 oz and bring water to a boil in minutes using a uniquely designed inner chimney. Using an optional pot support, you can easily put a pot on the top of the kettle in order to boil water and cooking a meal at the same time. The kit of Kelly camp stove and kettle is priced at $79.99/$104.95/$109.95 USD. If you’re interested, jump to the product page for its more details.